Changing the world one heart at a time. 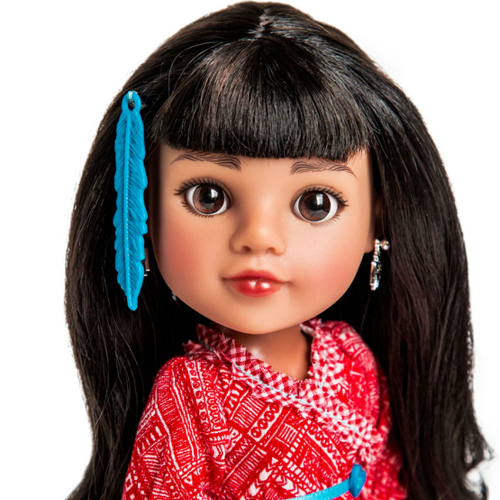 Hearts For Hearts Girls Mosi Doll represents a real Native American girl living in Santa Fe. Mosi is a 10 year old girl living on a sheep ranch in New Mexico. 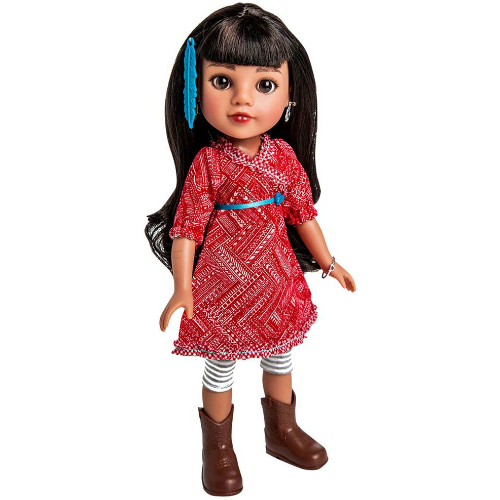 Mosi stands 14" tall and has a poseable, smooth vinyl body, and high-quality rooted black hair for hours of doll play. Her clothing is authentic dress. 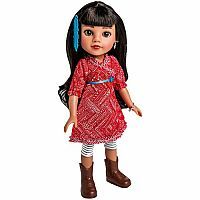 She comes with a hair comb, a freindship bracelet and a mini storybook about her life. 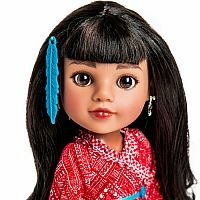 $1 from each sale of Hearts for Hearts dolls goes to World Vision to help improve the lives of girls around the world. Collect them all! Brand: Hearts For Hearts Girls. Measures approximately: 8.00 x 15.00 x 4.00 inches..